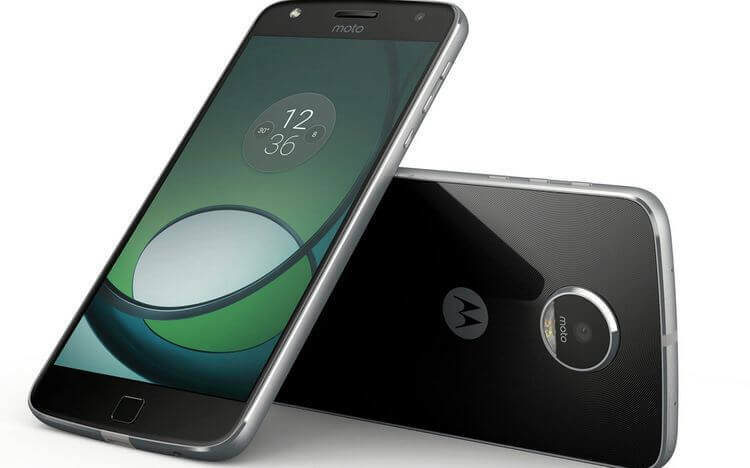 With the Moto Z Play, Lenovo and Motorola jog the market of mid-class smartphones properly. For a little more than 400 euros, you can enjoy a longer battery life, a bright 5.5-inch AMOLED display, and a high-resolution camera. Whether the new favorite of the media can convince and whether the purchase of the modular smartphone is worthwhile in the summer season, you can read in our review. 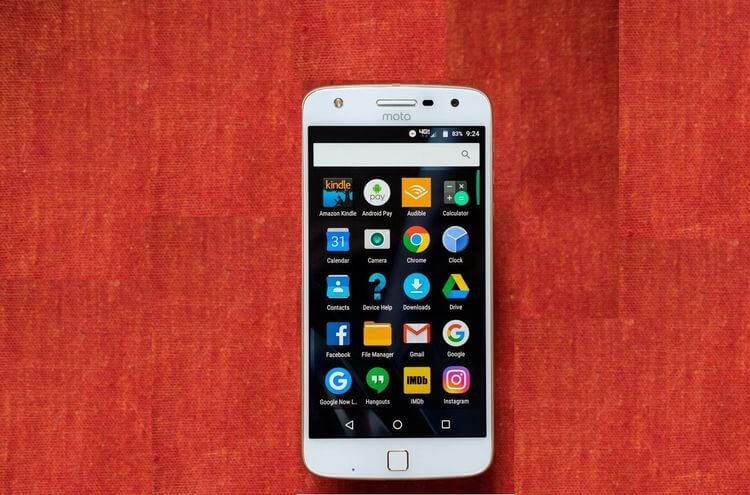 Compared to the more expensive high-end model Moto Z, the play version weighs slightly 165 grams with a height of 7 millimeters. Nevertheless, this works very well, as well as also made of aluminum and glass, smartphone neither heavy nor chunky. In times of slowness, our test model stands out even positively from the well-known competitors. In addition, Lenovo uses the space for the most sensible upgrade, which a smartphone can offer – a larger battery. But before we take the run times, let’s take a closer look at the Moto Z Play in the test step by step. The SIM slot on the upper edge of the smartphone is one of our highlights. Depending on the variant of the Moto Z Play, it carries not only two nano-SIM cards, but also a MicroSD for expanding the internal 32 GB memory. There is also a classic 3.5 mm jack plug on the board. Smearing must be tolerated at the USB-C port, which only works with the USB 2.0 standard and can be used for loading, communication with accessories and the computer. 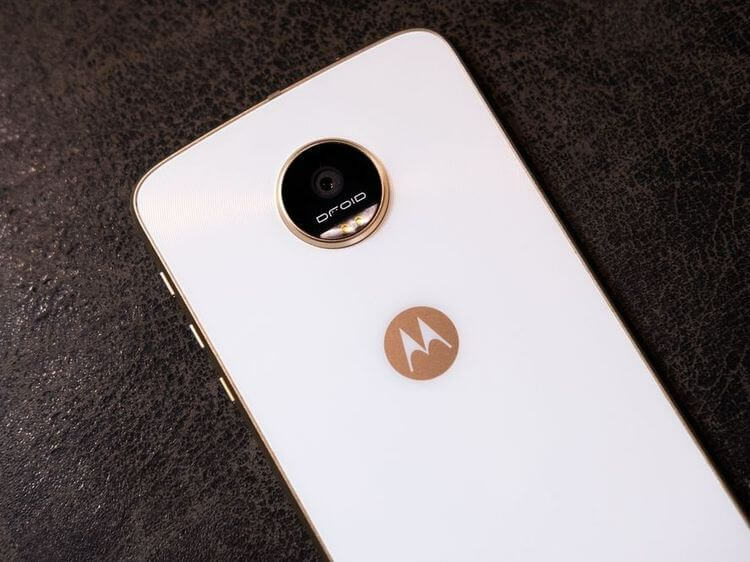 The Moto Z Play, however, also shares with much more expensive competitors, which is one of the things you can easily ignore when buying. In addition, only WLAN-n and Bluetooth 4.0 are used. With 4G LTE-A and NFC, however, the Moto Z Play is well positioned. On the soft side, the smartphone brings Google Android 6.0 Marshmallow with, which is only slightly adjusted and no annoying Bloatware hides. For further information please refer to our technical data. Already in the test of the sister model Moto Z we talked about the modular design of the smartphones. In addition to conventional magnetic back cover covers, you can also equip the Z Play with the famous Moto Mods. Among other things, JBL loudspeakers, a mobile beamer, the Hasselblad True Zoom camera module with 10x optical zoom and the Incipio offGRID Power Pack with an additional 2.220mAh battery are available. The change of mode is very simple: Pull off, put on, finished. Despite this simple mechanics, the applied magnets are sufficiently strong to be able to find their way to the housing even in action-packed usage scenarios. 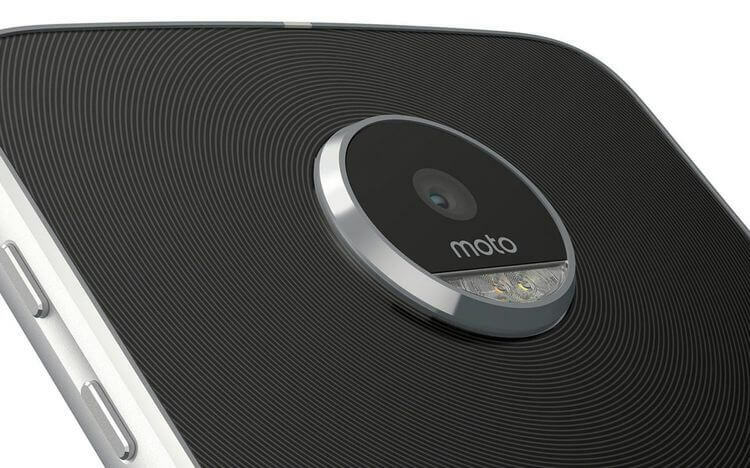 In terms of the cameras, the Moto Z Play has a 16-megapixel main lens at the back. This works with an f / 2.0 aperture, laser autofocus, and 1.3 pixels. The software provides access to up-to-date features such as 4K videos, HDR, panorama, and a manual profile mode. At the front, we find a 5-megapixel sensor, which is equipped with an f / 2.2 aperture and an 85-degree wide angle lens. Selfie fans will be particularly pleased with the LED flash, which has been mounted on both sides. Since we do not want to provide you with boring, gray-winter photo impressions, you can be convinced of the quality of the camera in this independent video (from about 2:50 min.). Except for slight weaknesses in the low-light range and the lack of an optical image stabilizer, the lenses of the Lenovo Moto Z Play can really be seen. So far, all features in the test speak of a smartphone that can easily compete with high-priced models such as the Samsung Galaxy S7 edge or the Apple iPhone 7 Plus. This pass is controlled by the Qualcomm Snapdragon 625 processor. The Octa core works at up to 2.0 GHz and accommodates the Adreno 506 graphics unit. In addition, there is 3 GB of memory and the already mentioned, expandable 32 GB flash memory. Based on our benchmarks at the bottom of this article, you can see that the synthetic performance of this chip is only in the midfield. Nevertheless, there are no significant losses in the daily performance of the Moto Z Play. Apps start quickly, even several browser tabs are no problem and current games run smoothly. Only the suitability for future software, which possibly needs more power, could be questioned here. The average user will not notice speed drops in this area. The 5.5-inch display uses a FullHD resolution of 1920 x 1080 pixels and is thus significantly lower in resolution than the Moto Z, which comes with a QHD option. The lower pixel density of 403 ppi, however, Lenovo and Motorola use well and offer a brightness of over 500 cd / m². Thus, outer inserts are also possible without problems when exposed to direct sunlight. The AMOLED technology also ensures a high, almost immeasurable contrast and a real black. The display is protected by Corning Gorilla Glass. The combination of the slightly weaker Snapdragon 625 chip, a FullHD AMOLED display, and the 3.510 mAh battery ensures fantastic run times. In idle, with a permanently active but dimmed screen, we measure over 42 hours. The Moto Z Play still delivers 11 hours at maximum load in benchmarks that are virtually unrealistic. The average of our tests is 27 hours and should bring you to normal everyday life without problems over 2 days. In parallel to the tremendous recharge times, our test device benefits from the so-called TurboPower technology, which allows a quick recharge of the battery? Lenovo itself speaks of a nine-hour running time which can be reached after a 15-minute charge. 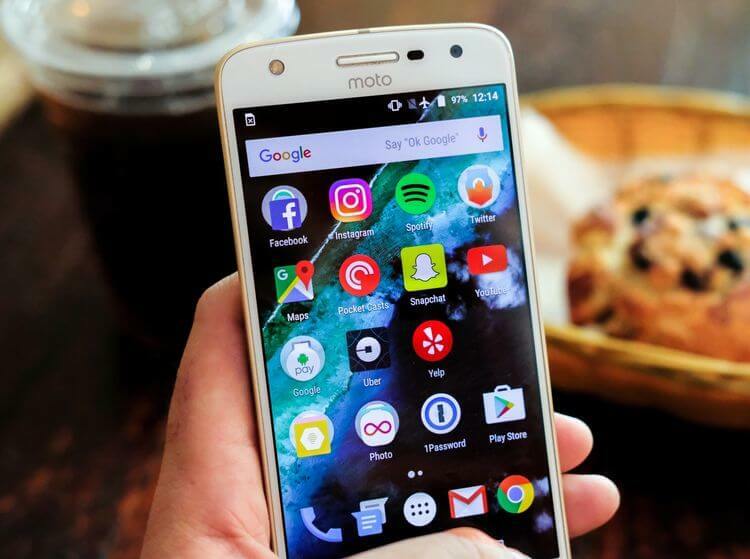 The new Moto Z Play is the perfect choice for those who want to have the battery life, a good display and a large range of functions for smartphone purchases. The brightness of the AMOLED screen can also convince in sunny climates and with a battery charge, it even creates intensive users two days off the socket to survive. Added to this is the modular design with Moto Mods, which can improve the sound, the camera and the already very good running time. Likewise, the Moto Z Play leaves our test with only minor drawbacks in the areas of performance, camera quality and equipment. In short, it’s a high-quality smartphone with great potential at a good price.